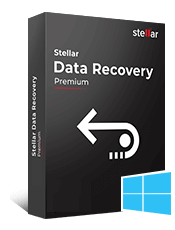 Stellar Repair for Oracle is a reliable database repair tool. It recovers Oracle database components from your damaged or corrupt DBF database file created in Oracle versions 10g, 11g, and 12c. *Free Download shows the preview of all the recoverable database objects. Oracle database recovery software can perform selective recovery of the components in your Oracle database DBF file. It allows you to do so on selecting the components by placing check marks on them. With this, the repair process gets accomplished after scanning. It also allows recovery of the entire Oracle database. This Oracle recovery software repairs damaged Oracle database DBF file and recovers all its components. These include Tables, Tablespaces, Materialized Views, Nested Object Types, Nested Tables, Nested Array Types, Triggers, Roles, Various privileges for Roles, Indexes, Stored Procedures, User Names (schemas), Clusters, Queries of Database Links, User-defined Functions, Packages, Package Body, etc. The software offers ‘Find Items’ feature that allows locating specific objects easily and without hassle. With this feature, the objects can be easily found for preview or recovery and prove to be useful especially in cases when the size of the Oracle database is too large to find objects manually. The software thoroughly scans the damaged Oracle database DBF file and then displays the preview of all the recoverable objects in a tree. From the enlisted recoverable objects, any component from the tree can be selected to get a preview on the right side of the interface. The preview is displayed despite your system not having the Oracle application installed on it. The software offers the option of ‘Search Database’ through which all the Oracle database DBF files present in your system can be found by selecting the drive from the ‘Look In’ box. These database files then show up with a creation date, modification date, size, and the name of the file. Thus, this feature is beneficial in cases when the location of the DBF files is lost or forgotten. On completion of scan, this Oracle database recovery tool generates a log report that contains the details of the process such as information on the number of existing and deleted records recovered, objects recovered, start date of the process, and end date. This report is displayed in the bottom of the software window and can be saved for future reference. 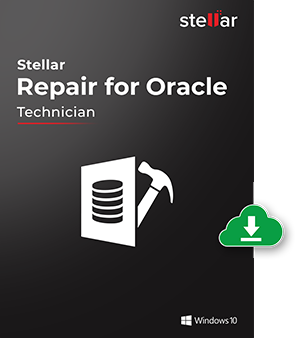 The Stellar Repair for Oracle software possesses the capability to recover the queries of views, procedures, triggers, package, package body, functions, and database links in text files. It can recover these components even from severely damaged Oracle database DBF files. The software supports the new Oracle XML DB feature and recovers all XML data in the DBF file of Oracle databases. 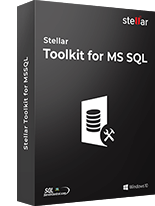 It can easily recover columns in Tables and views with XML data type. It can also recover XML Schemas that are used to validate XML data types. The software provides the additional facility of recovering deleted records of Tables. To do so, you need to select ‘Scan deleted records of table’ checkbox to preview and then recover the deleted records. The software is compatible with several versions of Windows Operating System such as Windows 10, 8.1, 8, and 7. This makes it usable to a wide range of users across the globe using different OS versions. What all points do I need to take care before repairing my Oracle file? Oracle 10g, 11g, 12c should be installed on the system, where repair process is to be performed. You need to create a new blank database. This new database is used to store all repaired data of corrupt database. Make sure that there are no active connections or users with the corrupt database. 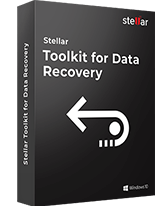 What are the limitations of this Oracle database recovery software? Tables present in SYS schema are not repaired. Compression Table & Encryption Table are not repaired. User login password is not repaired. Materialized view created using database link is not repaired. Xml complex nested schema and based tables are not repaired. Nested Array type table is not repaired. Drop and truncated table data is not repaired. How can I install the software? 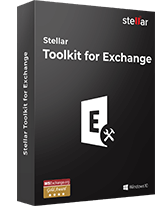 Double-click exe to start setup process. 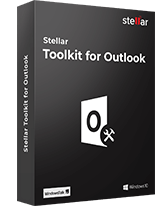 Setup - Stellar Repair for Oracle dialog box opens. Click Next. In the License Agreement screen, select 'I accept the agreement' option. The Next button will be enabled. Click Next. In Select Destination Location screen, provide the path by using Browse button where setup files will be stored. Click Next. In Select Start Menu Folder screen, provide the path by using Browse button where the program's shortcuts will be stored. Click Next. In the Ready to install screen, review the settings. Click Back to change settings. After confirming, the settings click Install. The Installing screen shows the installation process. After completing the process, the Completing the Stellar Oracle Recovery Setup Wizard screen opens. Click Finish.